Bloomberg Sports has a new data analytics partnership with Gala Coral, one of Europe’s largest and most respected betting houses. Before I wrote this blog, I read about the Gala Coral Group in the new BSports press release and had no idea they even existed; most likely, most of you do not either. 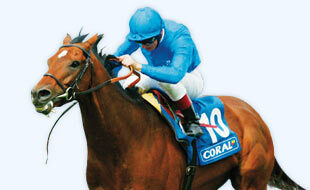 The Gala Coral Group is actually one of Europe’s pre-eminent betting and gaming businesses. So what does that mean for a Sports Techie? It means Gala Coral subscribers now have access to the world’s top sports analytical data produced by BSports Match Analysis sports technology. The partnership will give Gala Coral subscribers free access to the advanced analytics data provided in the BSports Match Analysis football product. The Match Analysis Beta version app called BSports Football, launched in September. It delivers advanced statistics and predictive analysis for the English Premier League, La Liga, Serie A, Bundesliga, and Ligue 1. Built from in-depth analysis of current and historical data, Match Analysis provides predictive models on the winner, final, half-time score, and total goals, breaking down each of the key game factors as well as a host of original information designed to enhance the global football fan’s enjoyment and interest in the games of their choosing. The app is available online at https://www.bloombergsports.com/football/ and on all mobile platforms at a retail price of four pounds per month. In early 2013, the BSports Football product will be fully operational and will include in-game projection and analytics updates. Coral Gala Group – http://www.galacoral.co.uk/index.html. Coral Gala Group brings retail shops with diverse market positions and well established brands, to this ground breaking sportsbiz arrangement with BSports. The Group employs over 18,000 people across its various trading divisions. The Group operates leading retail brands including Gala Bingo, Gala Casinos, and Coral along with leading online brands including galabingo.com, galacasino.com and coral.co.uk. They also operate a chain of Eurobet shops in Italy. According to their web site, Coral Interactive is the division responsible for the online, mobile and telephone operations of the Coral brand. As one of the United Kingdom’s leading ecommerce operations with over a decade of experience online it pride itself in offering its customers the widest range of betting and gaming products and opportunities. Gala Bingo, the UK’s largest Bingo Operator runs 142 clubs. Gala Casinos is a long established major player in both the London and provincial casino markets with 24 clubs across the United Kingdom and one multi-gaming complex in Gibraltar. Gala Casinos aims to be the number one choice for discerning players and a great place to work for the 2,560 colleagues which it employs. It has a loyal customer base of over 750,000 active members who enjoy over three million visits per year to its clubs across the UK. Gala Interactive is responsible for the online operations of the industry leading Gala Bingo and Gala Casinos brands. Both sites offer the UK’s leading gaming proposition with a wide range of bingo, casino, poker and other gaming products. Eurobet Italia is part of Gala Coral Group and runs over 400 betting outlets and a successful online operation dedicated to the Italian market since 2006 and employs around 90 people. BSports understands this ominous online gambling trend and decided to hold its first global sports technology event on September 19 at Bloomberg’s European headquarters in London. The techie event featured some of the most innovative thinkers in sports and technology, and served as the company’s formal entrance into the global sports industry after primarily focusing since 2010 on a highly successful sports analytics business in the United States in baseball (both on the consumer and the professional side) and American football (in the consumer marketplace). Gala Coral Group is one of Europe’s pre-eminent Betting and gaming businesses with strong market positions and well established brands, both on the high street and online. The Group’s operations are primarily focused in the UK, and also Italy – the two most attractive gambling markets in Europe. Gala Coral is privately owned and each of its businesses have clear objectives underpinned by common strategic themes including developing a performance and results driven culture; customer focus and customer experience; operational intensity; ongoing product development and innovation; portfolio management; and, multi-channel development. In its most recent financial year – year-ending 29 September 2012 – the Group had revenues of £1,190 million and generated earnings before interest, tax, depreciation and amortisation of £280 million. In my opinion, the BSports Match Analysis app can help gamblers win more by breaking down statistics, while also helping to identify potential Match Fixing. By predicting outcomes based on advanced scientific formulas, a 3-1 final score prediction now looks fishy when the games actual score turned out to be 7-1 in favor of the underdog. Betters in the United States take note; Europe has created a new standard for gambling thanks to progressive laws and innovative companies like Gala Coral Group leading the way. BSports and other sports technology companies have identified the worldwide trend towards relaxed gambling rules and have creating proprietary big data Solutions, Systems and Apps, to meet consumer’s statistical analysis demands. At the end of the day, if you are a Sports Techie who likes to bet on the $700 Billion dollar global soccer (football) industry, try doing it at Gala Coral with the support of BSports Match Analysis for a new competitive edge.